-Wash and clean the chicken under running water and drain in a colander.Keep aside. -Prepare a marinade using the ingredients listed and marinate the chicken and leave for 45 minutes. -In the mean time,dry roast the spices as listed on low flame.Blend them in a blender when cooled to a smooth paste. -Heat oil in a pan and saute sliced onion till lightly browned and wilted. -Add the ginger garlic paste.Saute again till raw smell disappears. -Add the chicken pieces,ground paste .Cover and cook for 15 minutes. -Uncover the lid and let the chicken cook well. -Lower the flame and add coconut milk.Wait till 1 or 2 bubbles start appearing at the surface. -Heat oil in another pan,fry red chillies,curry leaves.Add the sliced pearl onion,wait till it changes color to pinkish brown,keep stirring.Add this to the cooked chicken curry. 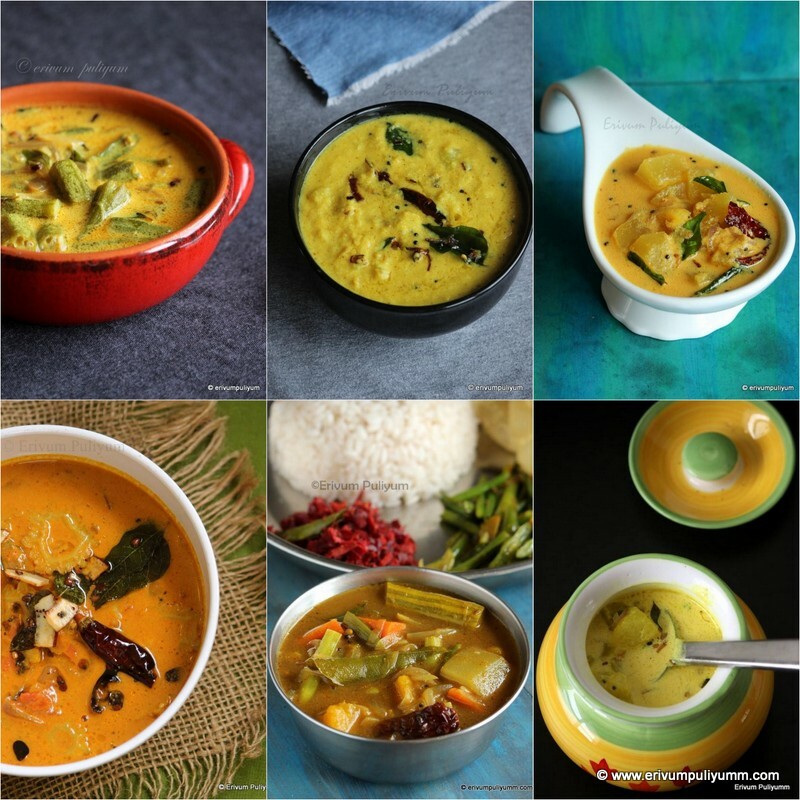 -Serve hot with naan or bread or appam ! * You can use powdered masala for dry roasting and grinding if you don't have the whole spices.The flavors are more enhanced with whole spices. 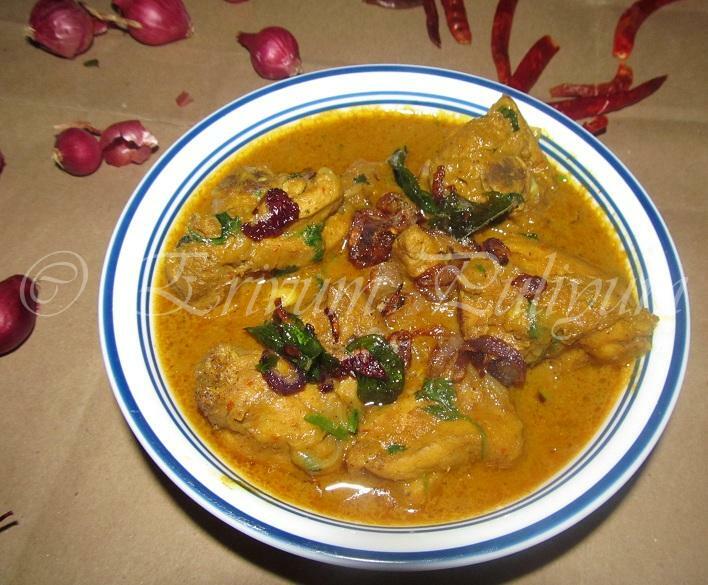 * The usage of cilantro leaves is not present in the traditional recipe,but my family loves it so have added. 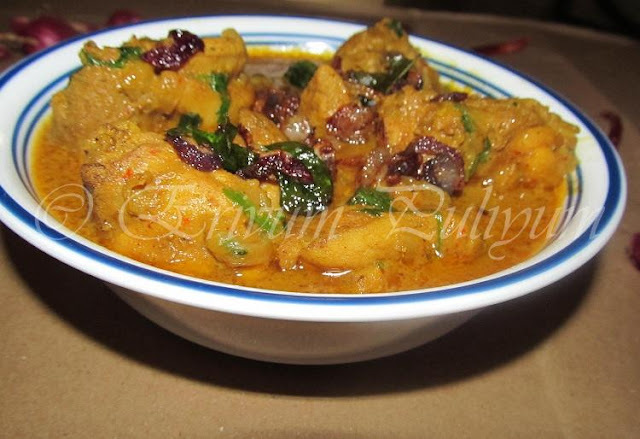 Delicious Chicken gravy.. very tempting..
Curry looks so delicious,sure it tastes great with idly/dosa too...inviting clicks!! totall yummm ... would love to drop by for this ! I must by all the spices and try someday! Chicken curry looks super yummy..:)) Can I have a bowl please right away..?? The aroma reached here at my place..Super yum! 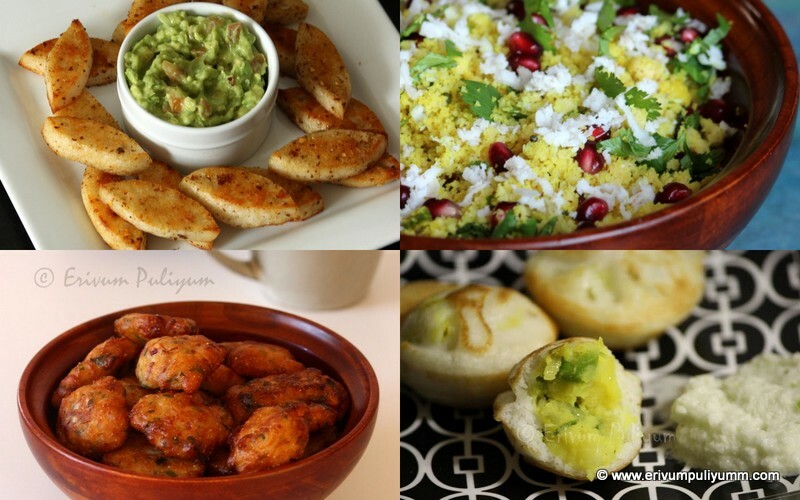 Your curry looks mouthwatering...I like the idea of roasting spices! wow so inviting...my any time fvrt dish.. I can get the aroma seeing the snap... it looks so nice.. mouthwatering..
Am drooling over that yummy and fingerlicking curry. 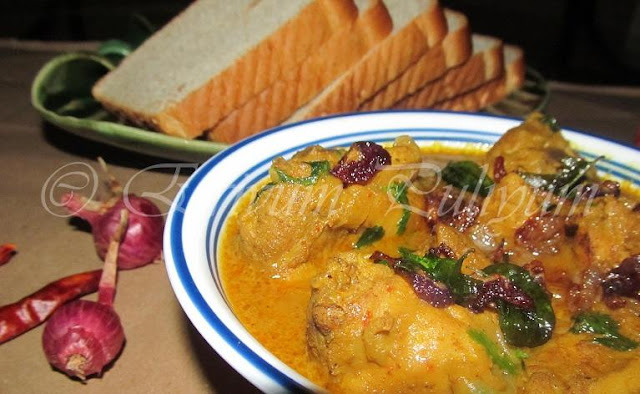 Love kozhi curry like this looks so good. 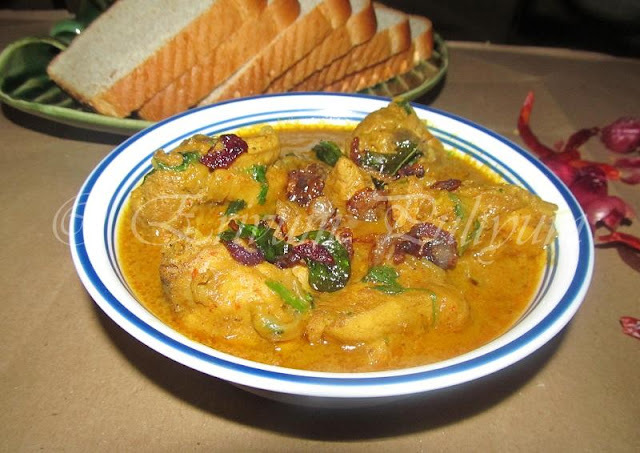 Chicken curry looks yumm yumm..
yummy and delicious chicken curry.. 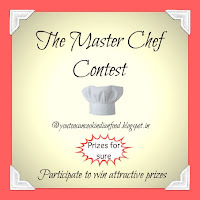 Delicious curry Julie :) Apt for a contest and I really loved the neat presentation!! 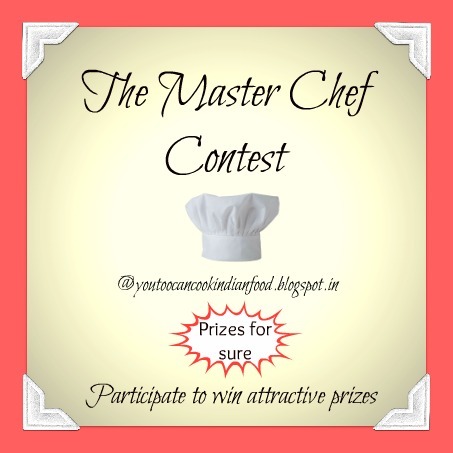 My best wishes :) Thank you so much for linking such a wonderful curry to my contest!! This looks brilliant Julie! I have some chicken in the fridge, so I'll be trying this out tonite n shall let u know the results. In the mean time, do chk out my blog and let me know ure thoughts. Glad to be following u! Julie! 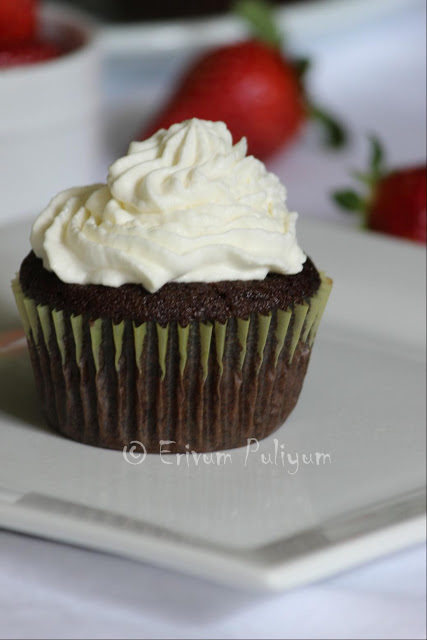 iam glad that this recipe of yours turned out great, i have posted it today, you can have a look at it. Thanks for sharing this dear.